Will your Glendale heating system make it through the winter? Unfortunately, most consumers don’t properly maintain their heating systems. In a recent survey, over 55% of Glendale home owners admitted that they don’t schedule regular tune-ups for their heating systems and heater units. Not coincidentally, over 50% of all Glendale heating system users express dissatisfaction with the performance of their heater and its high cost to operate. Service records show that most major and costly heating repair jobs could have been prevented if detected early with a simple tune-up. 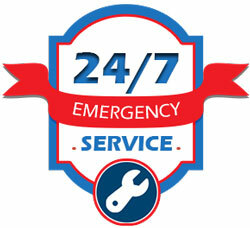 Why You Should Schedule a Maintenance for Your Glendale Heater? Schedule Your Glendale Heater Maintenance and Professional Cleaning Today! One hour is all it takes to complete a typical Heater tune-up and cleaning. An annual heater tune-up is the easiest way to guarantee that your air conditioning system will run properly through the summer and stay at peak performance for years to come. To ensure worry-free, money-saving operation, schedule a heating system precision tune-up today! To schedule your heating system tune up, you can call us at (623) 463-7111 or use the form to the left to request an appointment online.